Thanks to all the moms, grandmoms, teachers and friends who entered our childrens' book giveaway. 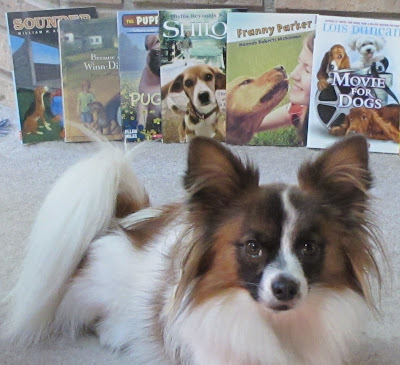 This is sort of an experiment to see how many families out there are interested in reading dog stories to their young ones. It seems there is some interest. If you'd like to see more of these, leave me a comment with encouragement. Next week, we'll take a break and offer a gift book, suitable for both kids and adults. Humor abounds as it will provide many a good laugh. This week's winner, selected by Random.org, is Danelle. We hope your home is full of kids who will enjoy these books. Feel free to report back on your favorites. And most importantly, don't forget to send your address to AllThingsDogBlog@gmail.com. Your package will arrive shortly. Happy reading! Congratulations Danelle! Happy reading! Hope the kids enjoy! Congratulations to Danelle, that was a great give-away!